This bike pic Saturday, enjoy the sun and crisp air with friends and family. Maybe a road tour or check out the mountain biking fun at Lebanon Hills Park, home of the Wild Ride Mountain Bike Festival, today. 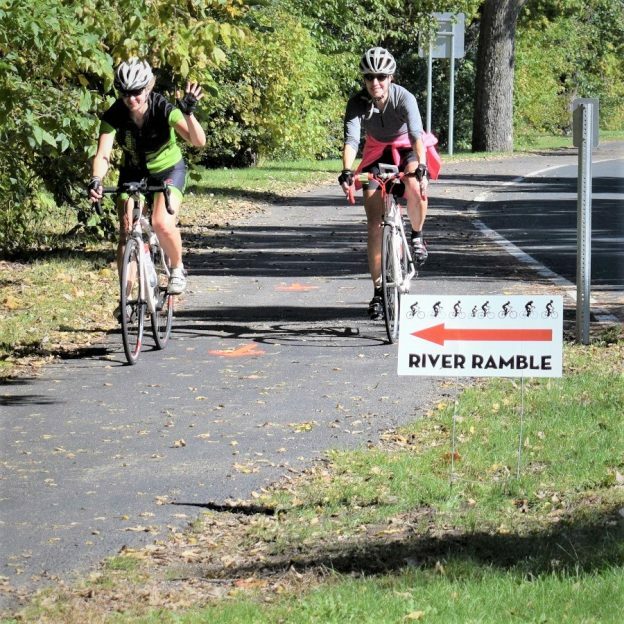 This entry was posted in Picture of the Day and tagged Bicycle Alliance of Minnesota, BikeMN, BikeMN event, fall bike ride, Family Bike Ride, family fun, Minnesota trails, Minnesota's Capital City, Mississippi River Trail ride, Monday morning ride, St Paul Bike Ride, Visit St Paul on September 22, 2018 by Russ Lowthian. Here on in this Monday morning bike pic, we captured a couple biker chicks riding the Mississippi River Trail (MRT). This picture was captured in St. Paul, MN, on the MRT. 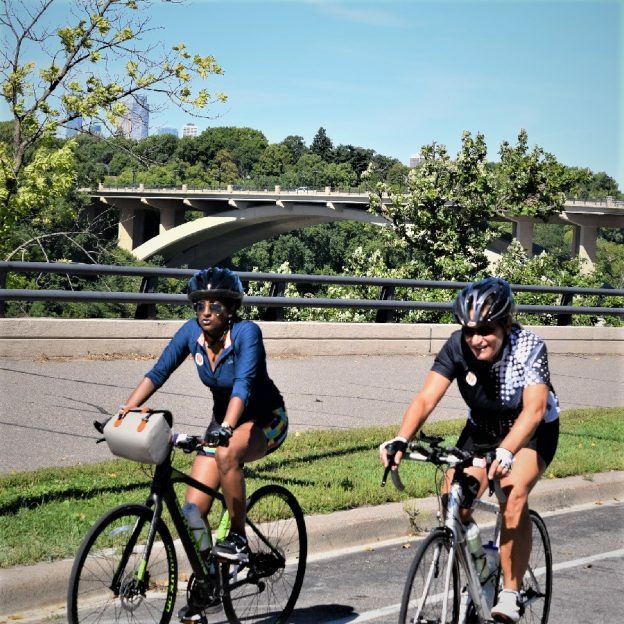 This entry was posted in Picture of the Day and tagged Bicycle Alliance of Minnesota, BikeMN, BikeMN event, fall bike ride, Family Bike Ride, family fun, Minnesota trails, Minnesota's Capital City, Mississippi River Trail ride, Monday morning ride, St Paul Bike Ride, Visit St Paul on September 17, 2018 by Russ Lowthian. It’s bike pic Saturday and another perfect day to be out riding. Here we found this group of bikers riding down Summit Avenue, in St Paul, MN. 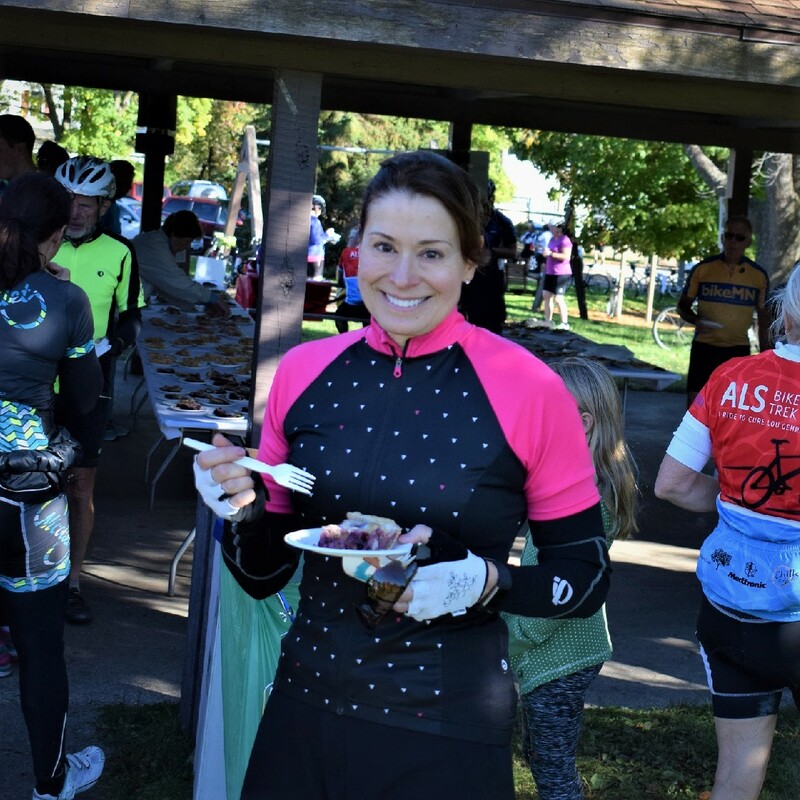 Don’t forget this Sunday is the Saint Paul Classic Bike Tour and there is still room on the ride if you haven’t already signed up. We are now rolling into our 13th year as a bike tourism media. 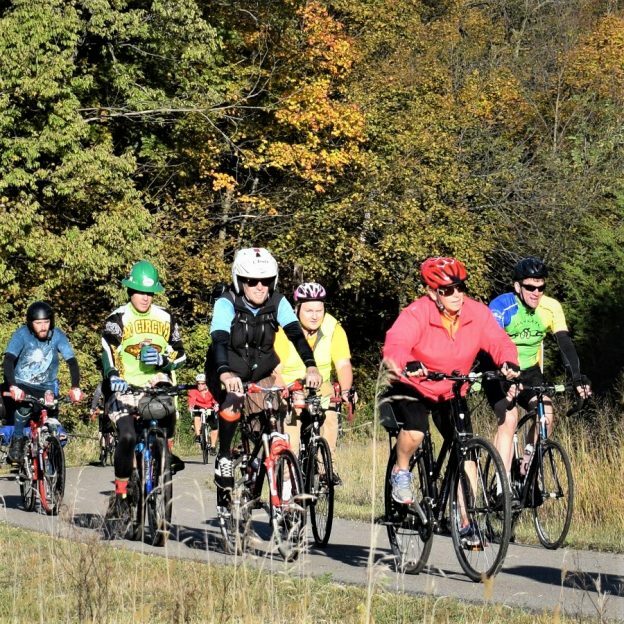 As we pedal forward our goal is to continue to encourage more people to bike and have fun while we highlight all the unforgettable places for you to ride. As we continue to showcase more places to have fun, we hope the photos we shoot are worth a grin. Enjoy the information and stories we have posted as you scroll through. 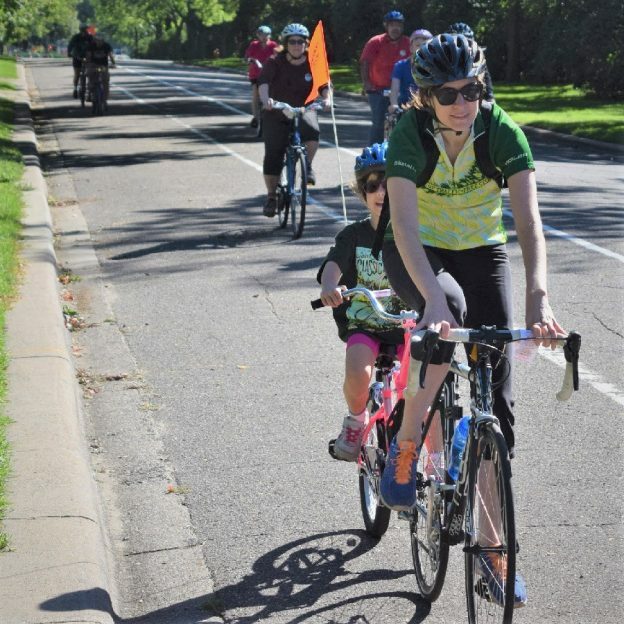 This entry was posted in Picture of the Day and tagged Bicycle Alliance of Minnesota, BikeMN, BikeMN event, fall bike ride, Family Bike Ride, family fun, Minnesota trails, Minnesota's Capital City, Saint Paul Classic Bike Tour, St Paul Bike Ride, Visit St Paul on September 8, 2018 by Russ Lowthian. Bike Pic Sept 03, fun riding into the Monday morning sun or rain? Happy Labor Day! 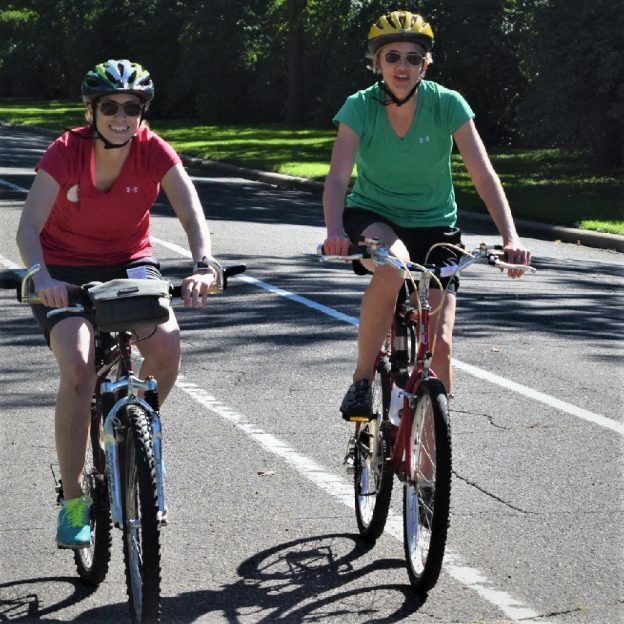 Here in this Monday morning bike pic we captured a couple biker chicks riding the Mississippi River Trail (MRT). This picture was captured in St. Paul, MN, on the MRT. Same location as the Saint Paul Classic Bicycle Tour coming this next weekend, September 9th. Remember, bookmark HaveFunBiking.com on your cell phone and find your next adventure at your fingertips! Please share our pics with your friends and don’t forget to smile. We may be around the corner with one of our cameras ready to document your next cameo appearance while you are riding and having fun. You could be in one of our next Pic’s of the Day. This entry was posted in Picture of the Day and tagged Bicycle Alliance of Minnesota, BikeMN, BikeMN event, fall bike ride, Family Bike Ride, family fun, Minnesota trails, Minnesota's Capital City, Mississippi River Trail ride, Monday morning ride, rain - play harder, Saint Paul Classic Bike Tour, St Paul Bike Ride, Visit St Paul on September 3, 2018 by Russ Lowthian. 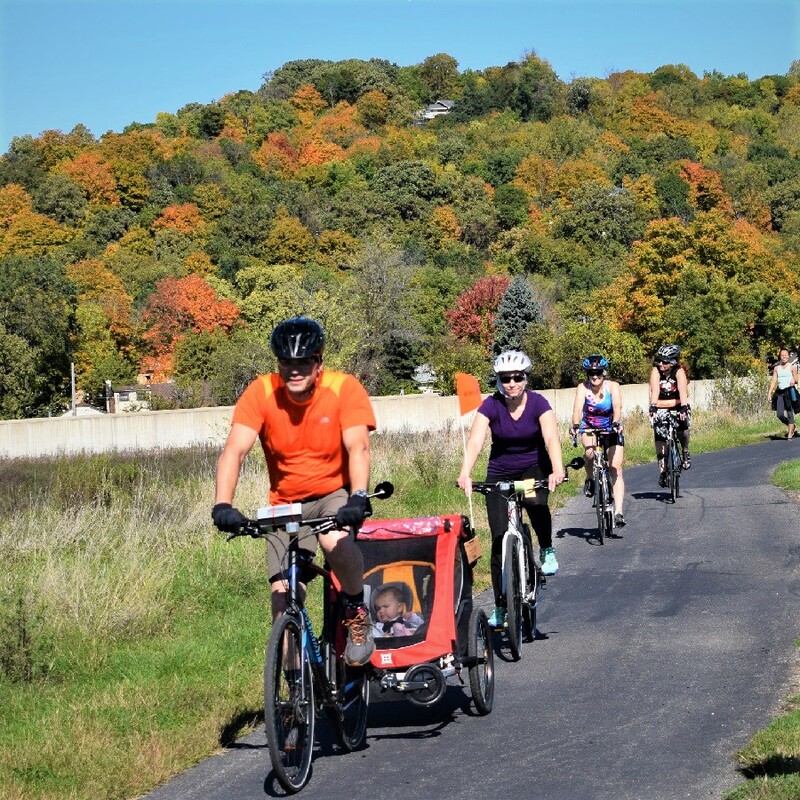 It’s bike pic Tuesday and these riders are having fun on the Mississippi River Trail (MRT) with the Bicycle Alliance of Minnesota (BikeMN) watching over. Come out and support their advocacy and educational efforts with the 24th Annual St Paul Bicycle Classic coming September 9th. 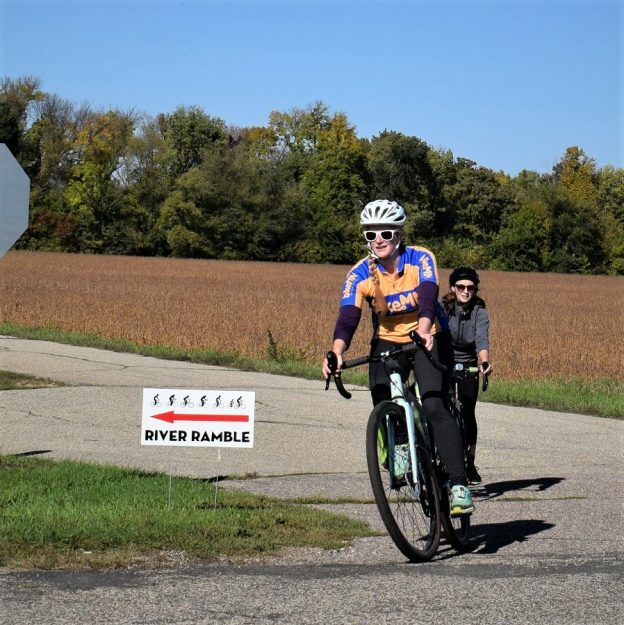 This entry was posted in Picture of the Day and tagged Bicycle Alliance of Minnesota, BikeMN, BikeMN event, fall bike ride, Family Bike Ride, family fun, Minnesota trails, Minnesota's Capital City, Mississippi River Trail ride, RAGBRAI, Saint Paul Classic Bike Tour, St Paul Bike Ride, Visit St Paul on August 28, 2018 by Russ Lowthian. 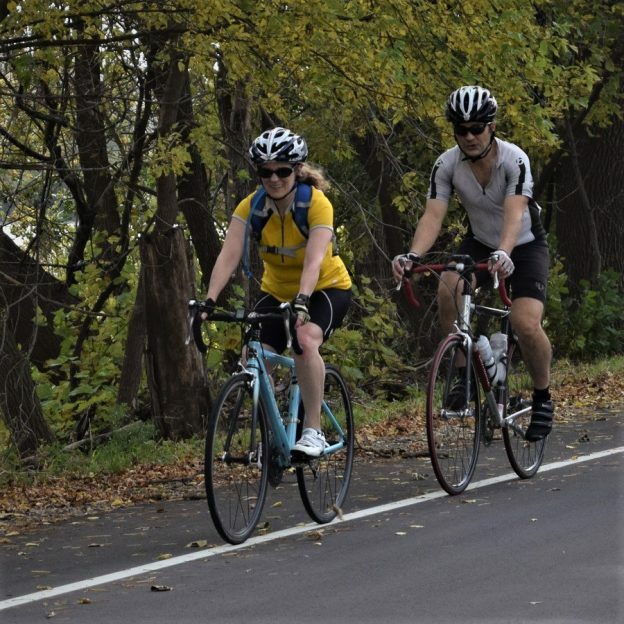 A music-filled fall bicycle ride through the Capital City, the 24th Annual Saint Paul Classic Bike Tour offers fun for all who participate. 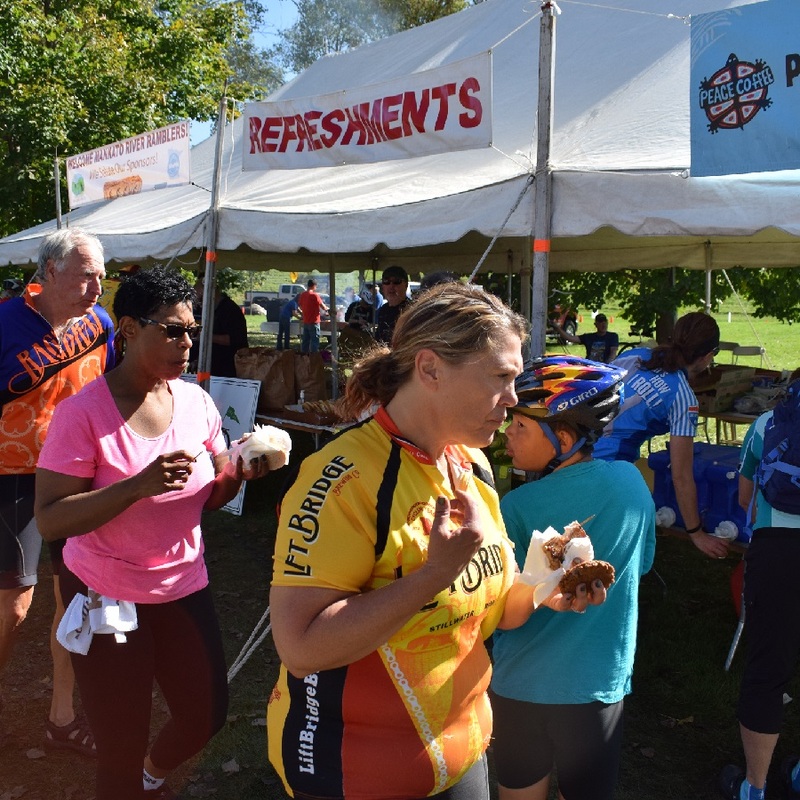 This year’s ride on Sunday, September 9, will again showcase the beauty of the east Twin Cities Metro. Riders will celebrate riding through historic neighborhoods along a 15, 33 or 45 miles, mostly traffic-free, fall bicycle routes. Saint Paul Classic riders always find plenty of good treats along the course. 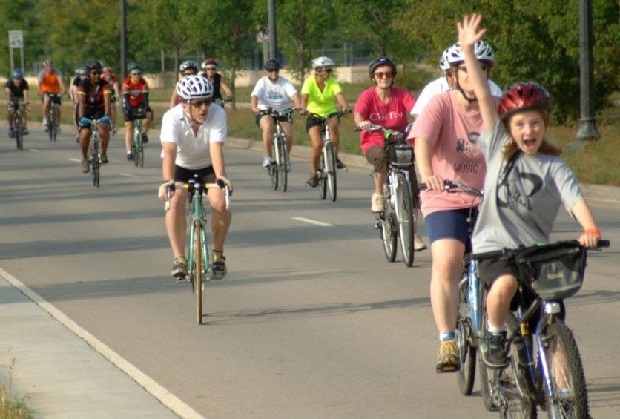 The largest bike ride in Minnesota, the Saint Paul Classic Bike Tour attracts over 5,500 bicyclists. 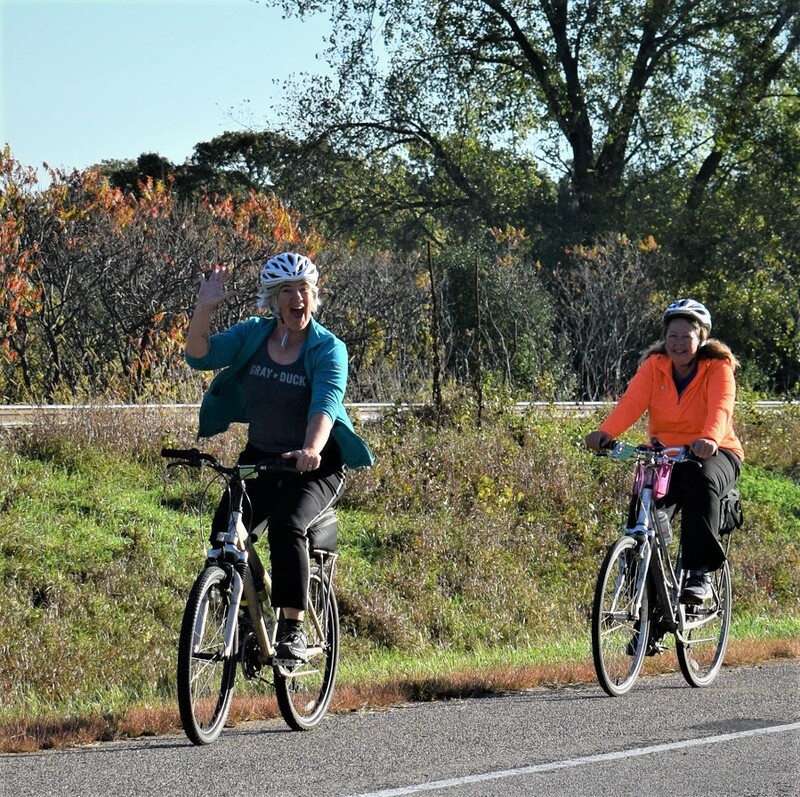 Known throughout the area for its quality all proceeds from this fall bicycle ride go to support the mission-driven work of the Bicycle Alliance of Minnesota. The Saint Paul Bike Classic registration. 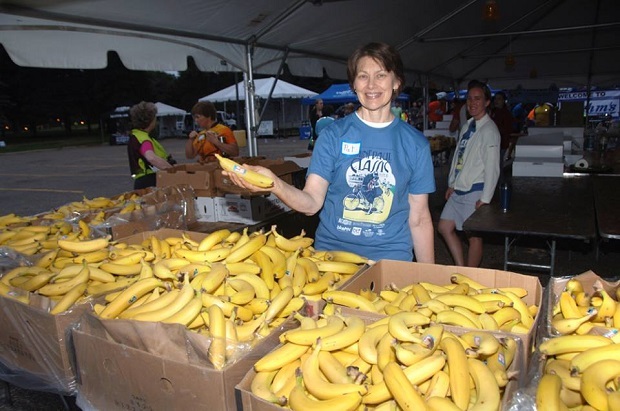 Everyone riding the Saint Paul Classic find the routes scenic and friendly. 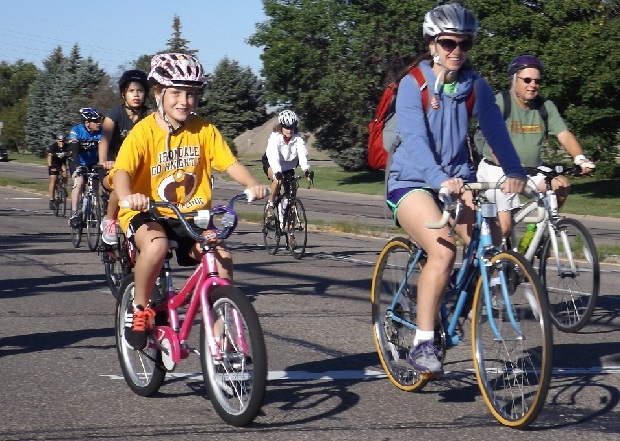 BikeMN is a statewide nonprofit organization. The Alliances mission is to provide leadership and a unified voice for bicycle education and advocacy. 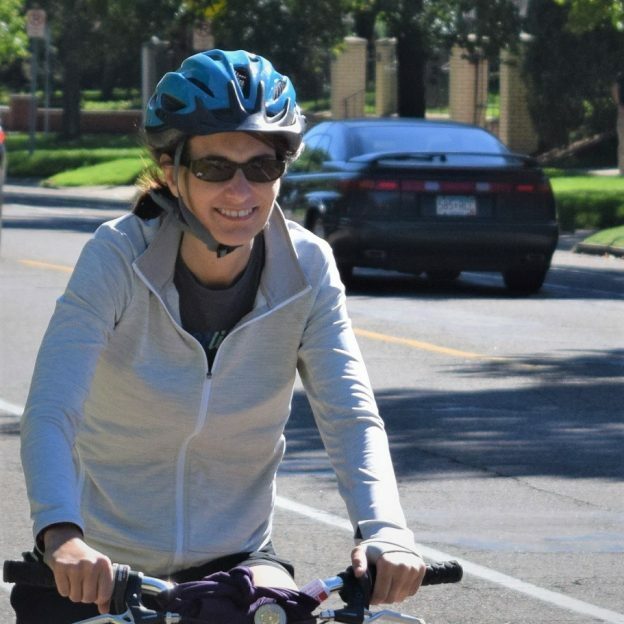 The goal is to make Minnesota more bicycle friendly, so more people will ride bicycles more often. The service of this mission include: education, advocacy, events and promotion and technical assistance. Learn more about BikeMN here. 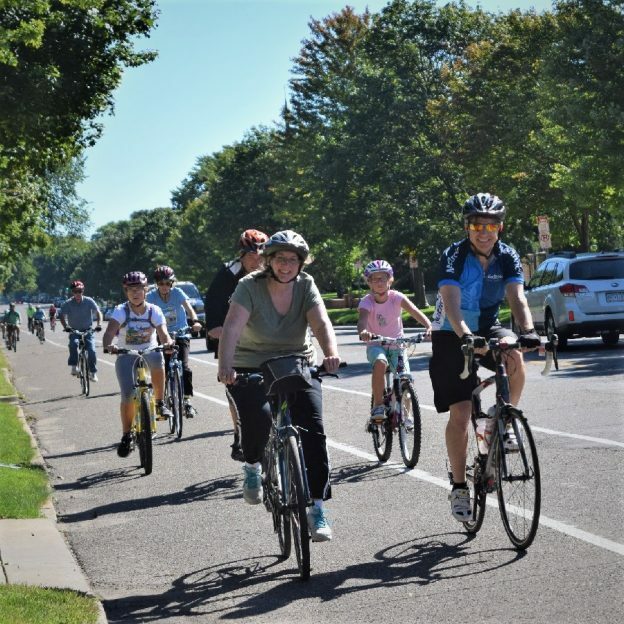 This entry was posted in News and tagged Bicycle Alliance of Minnesota, BikeMN, BikeMN event, fall bike ride, Family Bike Ride, family fun, Minnesota trails, Minnesota's Capital City, Saint Paul Classic Bike Tour, St Paul Bike Ride, Visit St Paul on August 27, 2018 by Russ Lowthian.